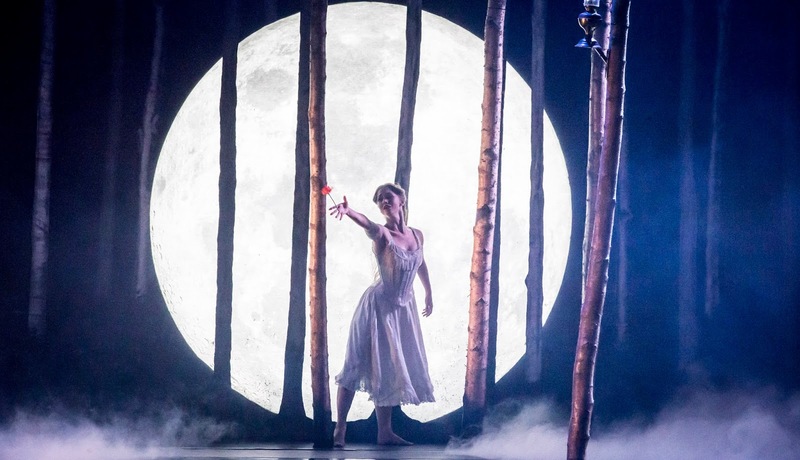 Charles Perrault's classic fairy tale comes to the stage this season as Matthew Bourne completes his trilogy of Tchaikovsky's complete ballets. Sleeping Beauty (originally premiered in 2012) follows Swan Lake and The Nutcracker in typical Bourne style - it is clever, gripping and awe-inspiring. Bourne pushes the boundaries of contemporary dance with striking choreography, so those looking for a typically Disney-esque treatment complete with dancers en pointe, will need to look elsewhere. But to anyone who is keen to experience the best of a small, innovative and enthralling company, this Sleeping Beauty is a delight. The story is divided into four acts, each spanning a different period in time and - augmented by Lez Brotherston's fantastic costuming and set design - takes the audience on a journey through dance history. Beginning in 1890, with a nod to classical ballet, the tale progresses through 1911 to today, with movement on the more modern side of contemporary. It is Bourne's desire to incorporate the 100 year sleep of Princess Aurora into the production that plays a pivotal role in this version of Sleeping Beauty, laying the gothic foundations of this self-described 'gothic romance.' The fairies are vampires, allowing the story to jump into the future without losing its characters to the mortal rite of death. And while there are dark undertones, an original use of puppetry also maintains the element of comedy. Highlights include the dance of the fairies, which sees six striking solos merging neatly into one stellar piece; a scene set in the 'land of sleepwalkers' with fluid movements and the majority of the company on stage; and the wedding scene which, with its harsh undertones and choreography reminiscent of Christopher Bruce's Rooster, is truly captivating. While these scenes may not sound familiar, it is worth noting that for all of the liberties Bourne has taken in telling this classic story, it firmly remains faithful to a “once upon a time” beginning and a delightfully happy ending. Performances by Dominic North, as Leo the Royal Gamekeeper and Adam Maskell, as Carabosse the dark fairy and her son Caradoc are noteworthy. Both embody the spirit of their characters seemingly with ease - as the sweet and ever faithful Leo and sinister villains respectively. And Ashley Shaw's Princess Aurora is spell-binding, capturing the essence of the mischievous yet lovable royal daughter perfectly. An outstanding production, in terms of originality, creativity and majesty, Sleeping Beauty is an unmissable masterpiece.